Image 2677838: beautiful woman with shoping bags. 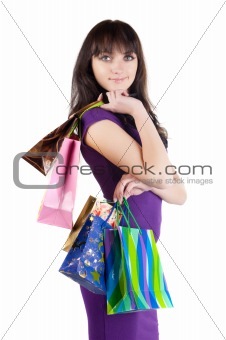 Image Description: beautiful woman with shoping bags. Isolated over white background .